· Which experiment can best yield the desired information? · How must the chosen experiment be performed? · How does one read the required information from the spectrum? · How does this particular pulse sequence work? · Which other experiments give similar information? This third edition of the book, following its two highly successful predecessors, has been revised and expanded to 206 experiments. They are organized in 15 chapters, covering test procedures and routine spectra, variable temperature measurements, the use of auxiliary reagents, 1D multipulse experiments, spectra of heteronuclides, and the application of selective pulses. The second and third dimensions are introduced using pulsed field gradients, and experiments on solid state materials are described. A key part describes 3D experiments on the protein ubiquitin with 76 amino acids. What is new in this third edition? 1. 24 new experiments have been inserted into the 14 chapters that were in the 2nd edition, e.g., alpha/beta-SELINCOR-TOCSY, WET, DOSY, ct-COSY, HMSC, HSQC with adiabatic pulses, HETLOC. J-resolved HMBC, (1,1)- and (1,n)-ADEQUATE, STD, REDOR, and HR-MAS. 2. 20 new protein NMR experiments have been specially devised and are collected in the newly added Chapter 15, ProteinNMR, for which one needs a special model sample: fully 13C- and 15N-labeled human ubiquitin. Techniques used include the constant time principle, the PEP method, filters, gradient selection, and the echo/anti-echo procedure. Stefan Berger was intrigued by NMR after having won a bottle of beer during an introductory course in organic NMR led by Professor H. Suhr at the University of Tübingen in 1968. After completing a PhD thesis with Professor Anton Rieker, in 1973 he joined Professor J. D. Roberts at Caltech for postdoctoral work, where he also met Professor D.M. Grant and Professor D. Seebach, who were then guest professors in Pasadena. This period was decisive to try a Habilitation in NMR spectroscopy, which was achieved at the University Marburg. At the University Leipzig his aim is to combine methodological development of NMR and its application to bioorganic problems. 24 new experiments have been inserted into the 14 chapters that were in the 2nd edition, e.g., α/β-SELINCOR-TOCSY, WET, DOSY, ct-COSY, HMSC, HSQC with adiabatic pulses, HETLOC. J-resolved HMBC, (1,1)- and (1,n)-ADEQUATE, STD, REDOR, and HR-MAS. 20 new protein NMR experiments have been specially devised and are collected in the newly added Chapter 15, ProteinNMR, for which one needs a special model sample: fully 13C- and 15N-labeled human ubiquitin. Techniques used include the constant time principle, the PEP method, filters, gradient selection, and the echo/anti-echo procedure. "This book is an excellent catalogue of useful NMR experiments for people who are looking for the most suitable experiment to solve a specific problem. It collects in one place all the currently pulse sequences from liquid NMR spectroscopy, discusses their relative merits, the time required to perform them and gives experimental examples measured by the authors for this book. ... 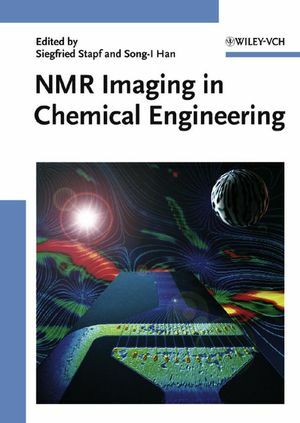 In conclusion, I think this book is a great encyclopedia of the techniques of modern liquid state NMR spectroscopy. It is highly readabele and should be on the shelf of any serious NMR spectroscopist, who does more complicated experiments than routine H-NMR spectroscopy. Finally instrument vendors should consider packing at least one copy of this book with every new NMR machine and using it as an educational toot when installing the machine." "This third edition serves as a detailed guide to NMR, complete with 206 experiments ranging form 1-D trials to more complex 3-D experiments on proteins." "The handbook is written by experts and gives very detailed step-by-step instructions. ... This excellent book is very well written and builds on the success of the earlier version that was largely due to its clarity, information content and the fact that the methods worked." "I highly recommend this book to all scientists who are trying to implement new experimental schemes in liquid-state NMR spectroscopy. 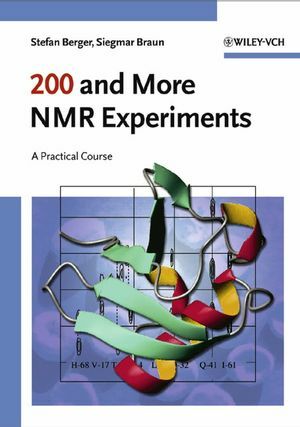 It is a very useful NMR >cookbook< and a good starting point to find additional detailed information about experimental methods." "...I find it to be one of the most useful books on my shelf...each new edition has brought substantial improvements...you will not be sorry if you acquire a copy for your personal library." Which experiment can best yield the desired information? How must the chosen experiment be performed? How does one read the required information from the spectrum? How does this particular pulse sequence work? Which other experiments give similar information? The guide has been written by experts in this field, following the principle of learning by doing. All experiments have been specially performed for this book, exactly as described and depicted, exactly as described and shown in the spectra that are reproduced. Being a reference source and work-book forthe NMR laboratory as well as a textbook, it is a must for every scientist working with NMR, as well as for students preparing for their laboratory courses.